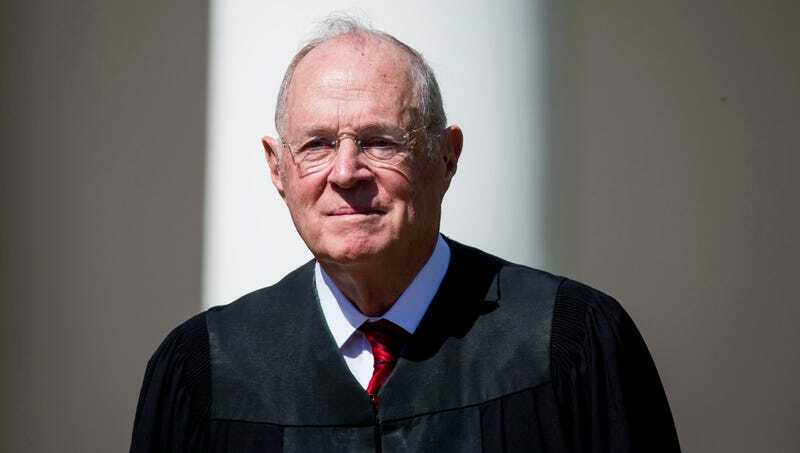 WASHINGTON—Saying the court expected to finish the year strong even without their most productive swing voter, sources reported Monday that Associate Justice Anthony Kennedy will be out for the rest of the Supreme Court session after tearing his adjudicatory tendon. “Unfortunately, these kinds of injuries take a lot of time to fully heal, so he’ll be sidelined for the year’s remaining cases while he recovers,” said Supreme Court spokesman Stephen Howell, adding that the 81-year-old judge had already torn his adjudicatory tendon once before while writing the majority opinion for Bragdon v. Abbott in 1998. “Justice Kennedy underwent arthroscopic surgery yesterday, and doctors believe he’ll be back in time to hear arguments on the Janus v. American Federation union fees case in January. However, these injuries can be unpredictable, so we’ll constantly be monitoring his ability to deliberate along the way.” Howell went on to say that, prior to officially returning to his seat, Kennedy may spend several weeks rehabbing his injury on the U.S. Court of Appeals.